Upon receipt of your abstract, we will send you an easy Q&A template (Word doc) to complete your full case study and return. If you are familiar with the awards process and you do not wish to submit an extract, and simply require the latest Q&A template to submit the completed case study, just complete the short form here. The submission must address the installation from the perspective of the USER—in other words, avoid vendor-oriented press-release type submissions. The nominator and nominee can be from the same company, and vendors and integrators may nominate customers. There is no limit to the number of submissions that you may nominate. We do want to know about the technology, products, vendors and suppliers, but they should not be "hyped" and should be confined to the last paragraph. Avoid copy/paste of your products specs, and repetitive statements across all sections. Feel free to insert your own appropriate subheadings for clarity (numbered and bullet-point paragraphs are acceptable where appropriate). Where possible, inserted graphics JPEG or Bitmap should be images. Be especially careful that all elements in diagrams created in applications such as Visio or PowerPoint are "locked." IMPORTANT NOTE: We recognize that certain information on projects is considered sensitive and/or proprietary. The Judges undertake to keep this information confidential in both the Awards announcements and any publications unless we have your permission. We want you to feel confident that you can submit truly compelling case studies without compromising your competitive advantage. Please indicate on your submission document any information you consider confidential. Winners and finalists receive additional recognition by having their case studies published in the annual volume of Excellence in Practice by Future Strategies Inc. View past winners here. Connie Moore, formerly Forrester Vice President and leading judge of the awards for many years has some hints on what the judges look for in a winning entry. The judges are turned off by PR hype - VERY important. This is not a press release. Please do write from the USER'S perspective, not from a Vendor's perspective. Avoid naming any vendor or service provider until the last paragraph. Pay attention to the fact these awards are based on three main criteria: Innovation, Implementation, and Impact across the categories of Business, Process and Technology. We're looking for something that pushes the technology in new areas, has created a major change in a positive way for the organization and has clearly demonstrated benefits. We're looking for something that stands out from the crowd, something exemplary for your particular industry. How have you moved the goalposts for your industry? How are you using BPM for competitive advantage? The case studies submitted for a BPM award are not advertisements and should not read like one. Read a quick page (PDF) of advice from Keith. 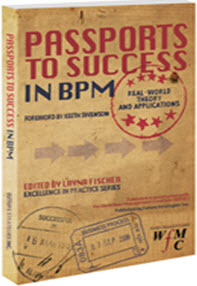 The readers of your case study are looking for information on how to best implement BPM in their organizations. Although it is a maturing field, the purpose of making such information available helps the entire market by reducing the incident of failure. Most of the ideas on how to organize people, and how to structure the information, are applicable in many products, yours included. Need help in writing your case study? We have partnered with Boost Marketing who offer experienced and qualified writers to assist with your assembly and submission. In our experience, many promising award-worthy entries lose valuable points with the judges because of poor presentation, whether due to lack of time, submission-writing experience or for whom English is a second language. Get expert help and advice. What does a successful award-winning case study look like? By studying these winning submissions, you will get a better understanding of what the judges find appealing, not only in content, but also the way that the information is presented. Many a promising case study has lost significant advantage because of the inappropriate way in which it was submitted. Even though many entries are submitted by vendors on behalf of their customers, please do write from the user perspective. 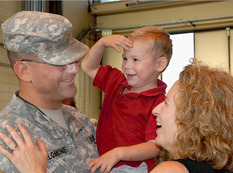 Download this free chapter extracted from the book with an award-winning case study by the U.S. Department of Veterans Affairs explaining how they used to BPM to ensure that US Veterans would always enjoy uninterrupted benefits. This book will definitely help you understand how winning case studies are presented.